Companies, their suppliers and networks of partners need to be aligned to fulfill the strategy to deliver the value and adapt rapidly whatever challenge arises. To be resilient, companies and their networks have to build ecosystems in a systemic thinking. To help firms achieving this, we propose a methodology based on “value drivers” that allows the mapping, the analysis and the management of intangible assets, and the way they are activated through a multi perspective and a multi stakeholder framework. 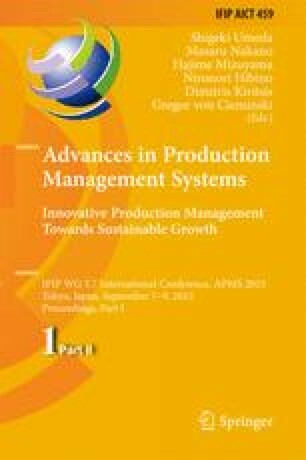 The authors would like to thank THESAME and the PEAK program: member companies of the program, the F2I, funding structure of the UIMM, the UDIMERA, the Research Division of the Regional Council of Rhône-Alpes, and the General Council of Haute-Savoie.